Located at 3571 Bellaire Drive North, 76109 . Silver Parking is $75 per day or $300 for the week. Shuttle goes to and from the street in front of the Colonial clubhouse. 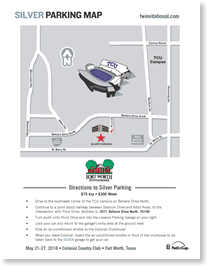 Located just west of the TCU Football Stadium. Bronze Parking is $50 per day or $250 for the week. Cash and credit cards are accepted at the lot. parking when you drive up in your Lexus vehicle. No advanced purchase on Lexus Special. Parking is $15 per day (purchased online, in advance) or $20 on the day you arrive at the lot. $50 for the entire week if purchased online in 2018. Located just off of N. University Drive between White Settlement Road and Jacksboro Highway - Get Instant Directions Here. Payment: Cash and credit cards are accepted at the lot or pay online in advance and save! 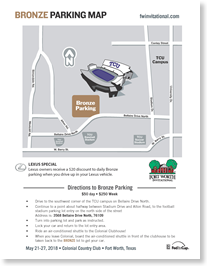 Due to construction around Farrington Field, the Rockwood Lane lot is highly recommended Thursday-Sunday. 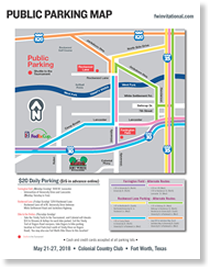 Parking is free on Monday May 21st and Tuesday May 22nd. 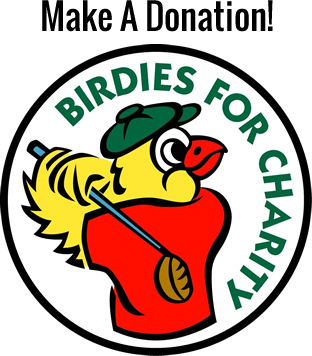 Shuttle bus service to and from Colonial Country Club is included. Enter from University Drive between Crestline and Lancaster, across from Casa Manana - Get Instant Directions Here.